Across the Bannockburn Bridge, 9 km from Cromwell is a tortured yet beautiful landscape sculpted by the miners sluicing for gold from 1865 to 1910. 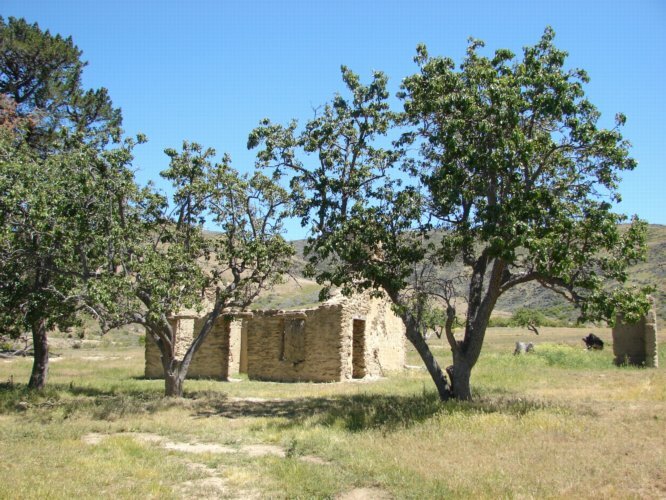 While walking around these diggings, you will discover fascinating evidence of water races, dams, tunnels, shafts, crumbling cob and stone buildings and old orchards at Stewart Town. Beyond Bannockburn, off Schoolhouse Road, is the old wagon track to the Nevis and Nokomai. 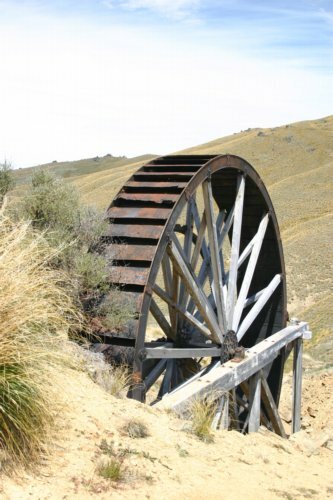 The track climbs up through the stone remains of Carricktown and leads to the massive, recently restored, Young Australian water wheel at 1100m on the Carrick Range. This 7.9m diameter wooden water wheel was dragged up the mountain in 1874 to drive the Young Australian battery. Half of this battery, which once stood beside the wheel, was later moved to the opposite side of the gully.